Product #6289 | SKU MID-505 | 0.0 (no ratings yet) Thanks for your rating! 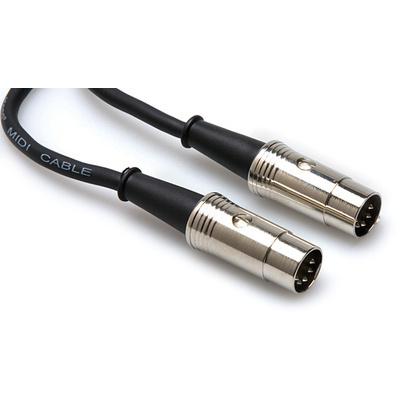 The Hosa Pro MIDI Cable (5ft). This cable is designed to interconnect MIDI devices. It is wired 5-pin discrete and compatible with all MIDI standards, including SysEx. If you need a high-quality MIDI cable, Hosa Technologies' MIDI to MIDI Premium Cables are the way to go. With a dense spiral copper shield to block interference and durable, nickel-plated connectors and connector pins, the MIDI to MIDI Premium Cable is a great option for connecting your MIDI-compliant devices.